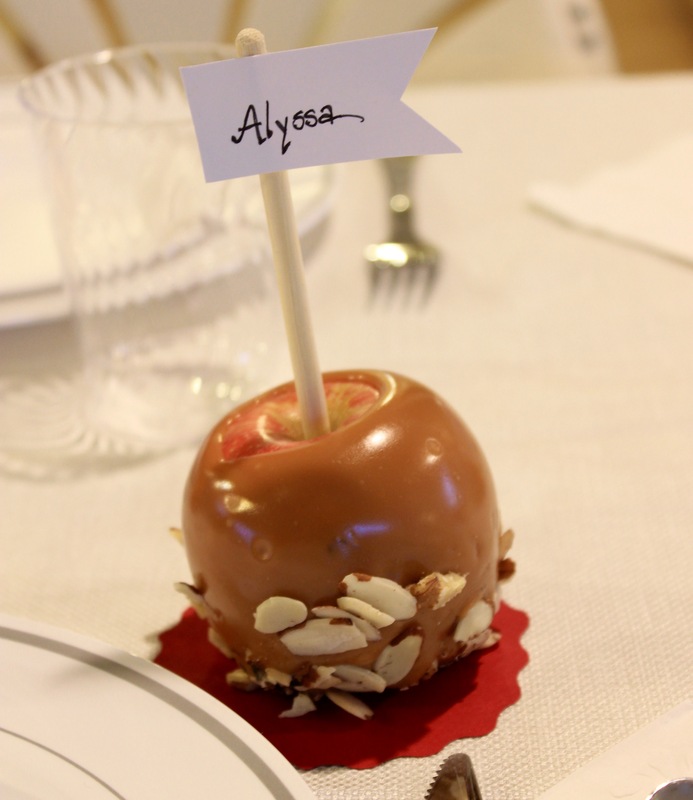 Kelsey and Yolanda made these gorgeous caramel apples as a perfect name tag holder….and yes, that caramel was made from scratch…perfectly chewy and delicious. I saved mine for today! (And tried everyone else’s last night.) Lucky me. 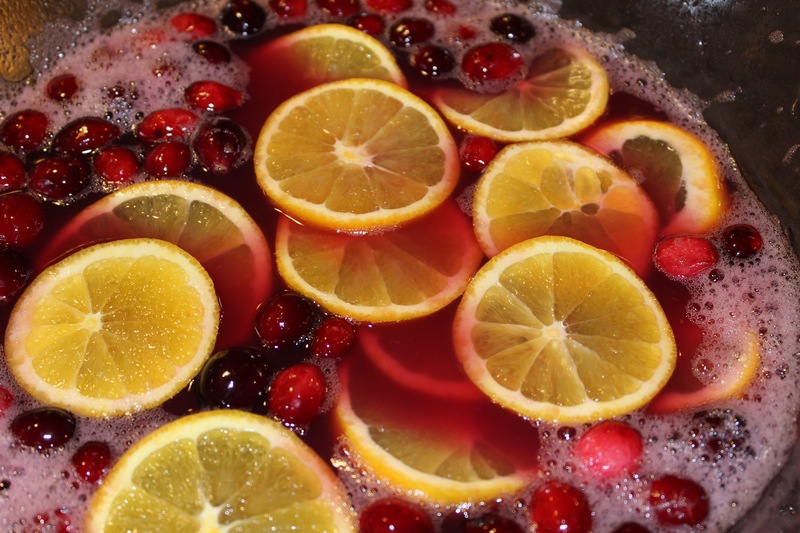 Renae kicked the evening off with this refreshing cranberry/orange punch! It was cold and fizzy and hit the spot. 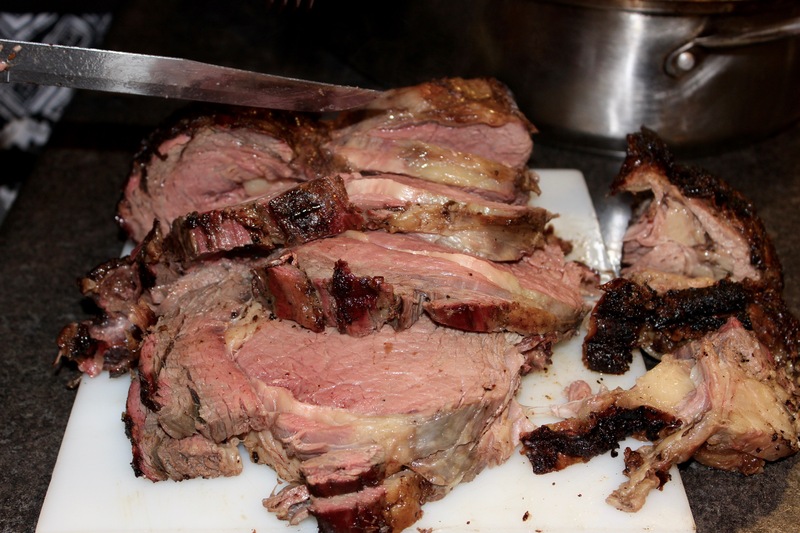 We decided to forgo the traditional turkey/stuffing meal and instead Dad grilled this prime rib to juicy perfection. I think I can safely say, it was the best prime rib I’ve ever had. Not saying I’ve had a lot in my life but this stuff was finger-licking good. 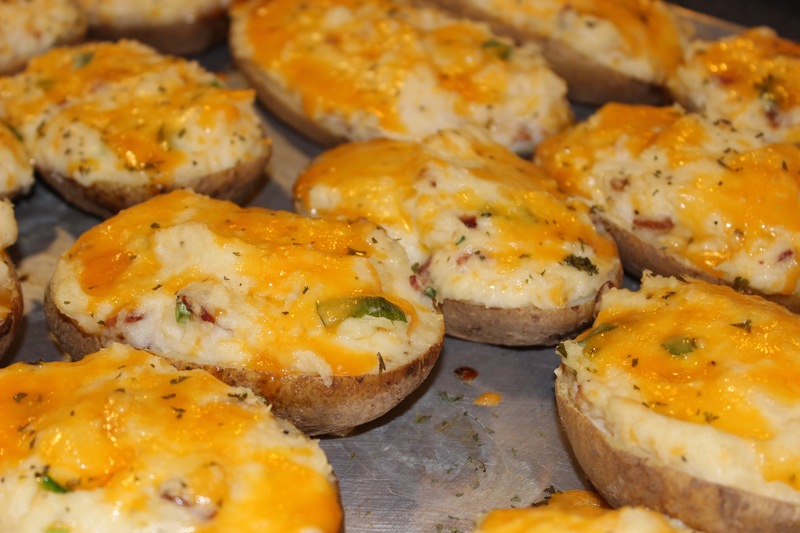 I added these twice baked potatoes to the menu, stuffed with cheddar, bacon, green onions, and oh, lots of butter! 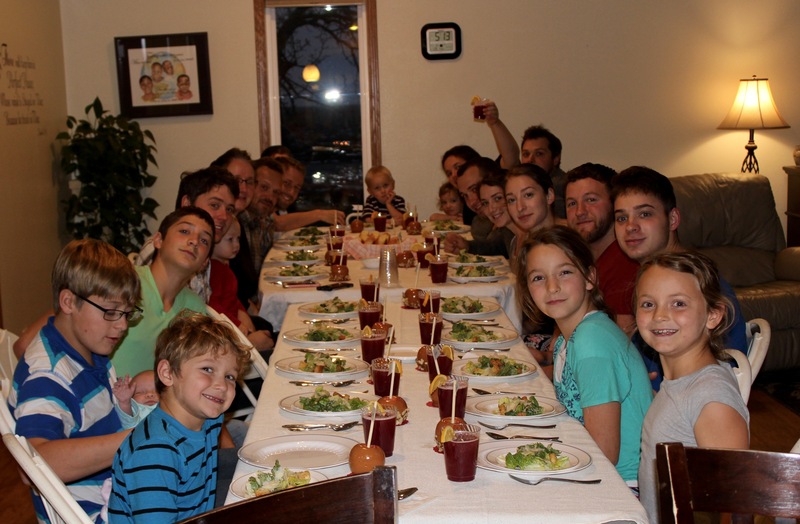 Here is the happy clan! =) One big jolly family. At least one in the group is observing the “no-shave-November” just thought I’d mention that. 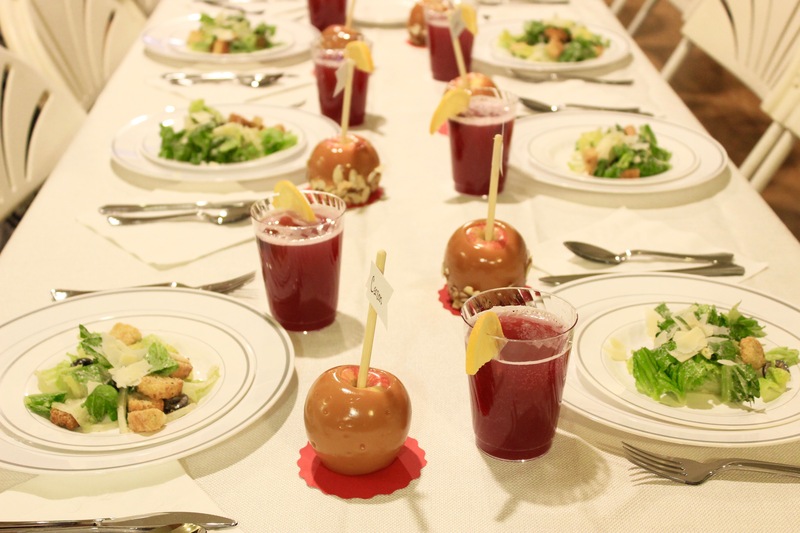 I was too busy eating to get pictures of the other side dishes and dessert…but as you can see, we’ve got peas and carrots, cranberry salad, pear fluff, and pumpkin pie for dessert! I didn’t miss the dressing/filling/stuffing (whatever you call that stuff!) until about midnight….and then it was too late. In small saucepan, scald milk. Add butter, let set until melted. In mixing bowl, dissolve yeast in water, let rise 10 minutes. Add sugar, eggs, salt, pumpkin, and butter/milk mixture. Turn on mixer and add flour, 1 cup at a time. Knead for 5 minutes. Place in greased bowl, turning once to grease top. Cover and let rise 1 hour. On lightly floured surface, pat dough out into circle and make sure it is no thinner than 1/2 an inch thick. Cut with circular glass or ring. (I used a regular sized jar ring) place onto greased pan. Repeat with remaining dough. Cover and let rise 30-40 minutes. Preheat oven to 350º. 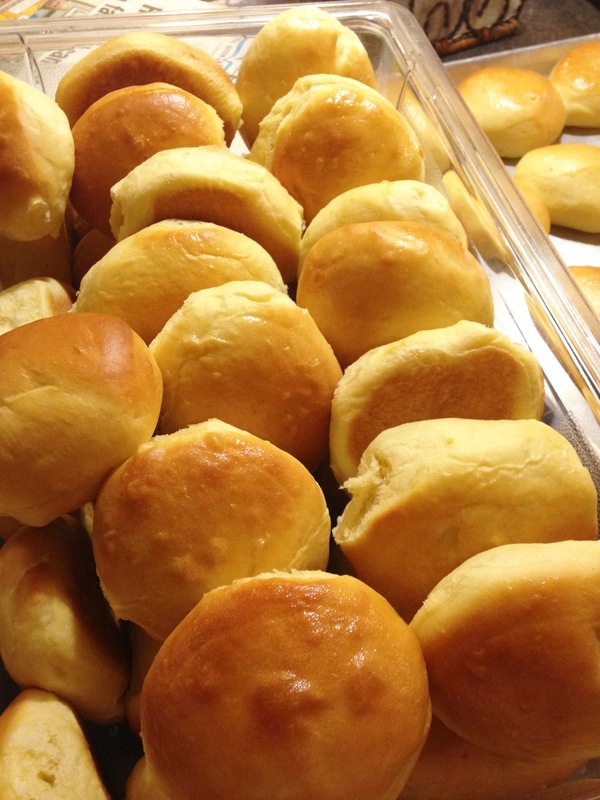 Bake rolls for 12-15 minutes or until golden. Brush with melted butter. Store in airtight container. These are best served in a day or two. I make a pumpkin cinnamon roll – the pumpkin adds the moistness that makes yeast rolls so yummy! 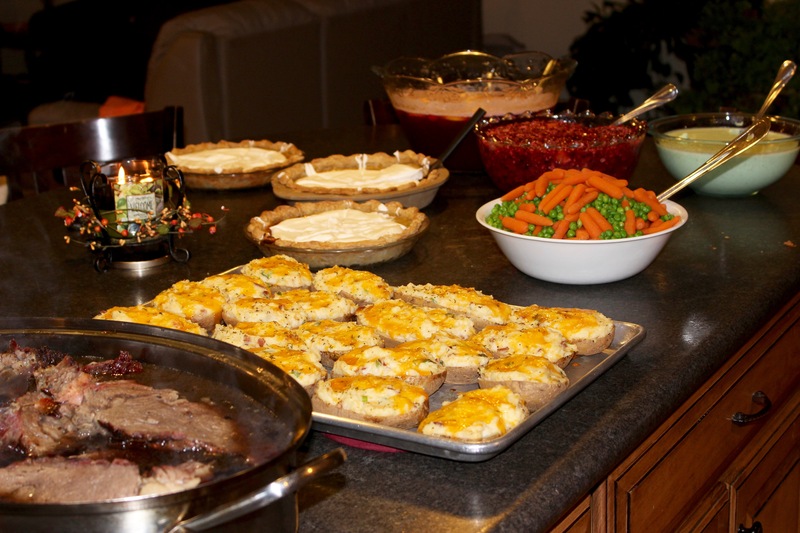 Looks like a wonderfully blessed day – food and family wise!